Stark functionality plus military inspiration equals unsurpassed modern horological elegance, when it comes to a brand that can’t stop climbing to new heights. 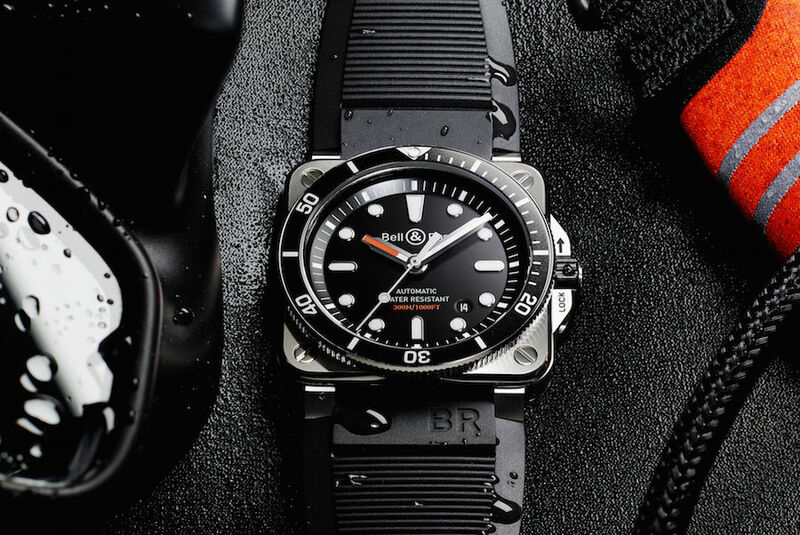 Bell & Ross BR 03-92 Diver. “Whether it be the sweeping eagle in his flight, or the open apple-blossom, the toiling workhorse, the blithe swan, the branching oak, the winding stream at its base, the drifting clouds, over all the coursing sun - form ever follows function.” So wrote American architect Louis Henry Sullivan in 1856. Sullivan, despite being The Father of The Skyscraper, is far less celebrated than the man he mentored – Frank Lloyd Wright – but his philosophy is in rude health thanks to brands such as Bell & Ross: the French watchmaker founded in 1992 by two boyhood friends, industrial designer Bruno Belamich and Hautes Etudes Commerciales de Paris alumnus, Carlos-A Rosillo. Bell & Ross (a potently emotive brand name, based on the first syllables of the founders’ surnames) operates on a single, brutally utilitarian principle: if efficiency, legibility and reliability underpin design, exceptional beauty will follow as inevitable collateral. And, it would be a tepid assessment indeed to say that the duo have been merely successful in their quest to rejuvenate the industry by injecting ruthlessly parsimonious pragmatism into it. In the quarter of a century that has passed since the brand’s founding, Bell & Ross has garnered a reputation for almost impatient innovation. 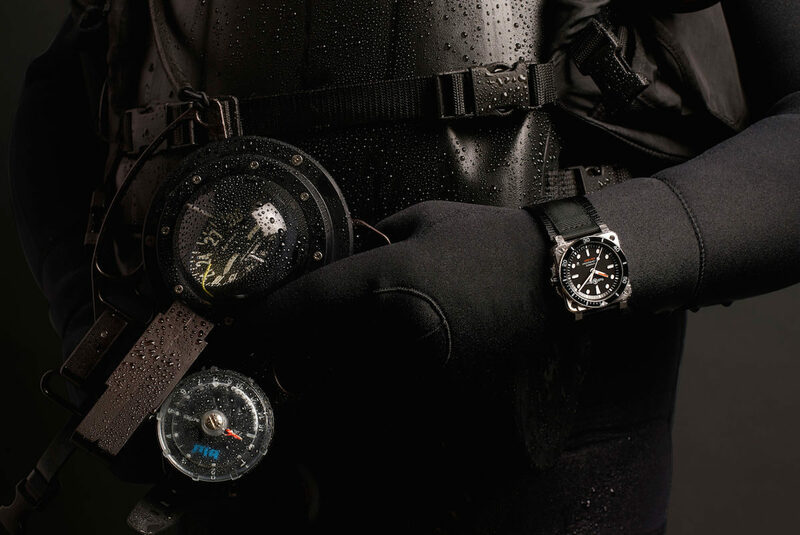 Milestones in the early years, when they collaborated with German maker Sinn, included the Space 3 GMT, a direct descendant of the Space 1 taken into orbit by German astronaut Reinhart Furrer; the 1996 Bomb Disposal Type, which was ordered by the French Security Services’ device disposal unit; and the Hydromax – the 1997 diver's watch which could sink to an unprecedented depth of 11,000 meters, thus putting the brand into the record books. 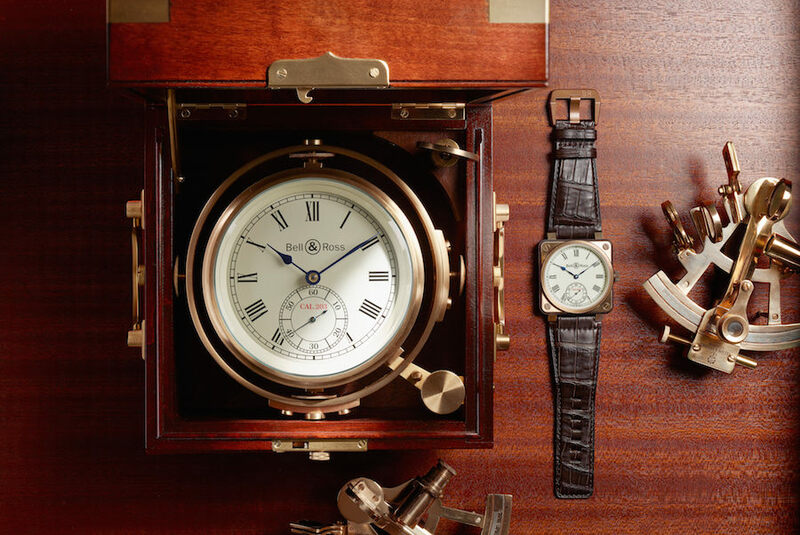 Bell & Ross BR 01 Marine. In 2005 came perhaps the biggest milestone to date: the launch of the much-imitated BR 01, which took its inspiration from aeronautical instrumentation. Several versions on, including a Tourbillon version announced at the 2007 Baselworld fair in Switzerland, the line now boasts a cult-like status. Other major feats have included the B-Rocket – a 2014 version of the BR 01, involving a collaboration with British custom bike builder Shaw Harley-Davidson, that calls to mind the quixotic whimsy of Jaguar or Ferrari’s wildest concept cars, but is as functional and wearable as any timepiece on the planet – and the more recent limited edition Instrument de Marine version, a trio of new pieces based on 17th century seafaring instruments. The recent third generation of the Vintage collection saw them revisit the pilot's watch aesthetic again with three pieces (including a twin-register chronograph) which featured smaller cases and witty touches such as the aeroplane silhouette at the tail-end of the seconds hand, while the latest addition to the Bell & Ross canon is the BR 03-92, a diving watch featuring the square case associated with the marque’s aviation watches, and which offers water resistance to 300 meters. How ironic, that the brand’s decision to once again avert its gaze from the skies to the depths of the ocean has enabled it to scale its greatest heights to date.